Essay-Writer-Online.org is the writing site for the win. Hundreds of students order from us essays, compositions, book reviews and coursework every month. Why? There’re three keys to that. First, we complete every new assignment from scratch. You provide instructions and task specifications, a personally assigned writer with a degree in your field completes the manuscript at an agreed time. No plagiarism, no re-selling, no sham. Second, the service offers perhaps the most reasonable prices wages online. We’ve been on the market for a long time, so we have a good reputation to maintain. Profiteering here and now isn’t our style. What we do is work with students in a long run. Many order from us since high school. Many from sophomore year at college. And many still continue taking advantage of personalized academic content we perform. And thirdly, our security is top-class. Foolproof 128-bit encryption combined with HTTPS tokenization provides the ultimate level of personal and billing data safety. No third party can have access to client data and order history. Plus, we deleted every paper that’s complete and passed the revision period successfully. Customized papers are an investment. 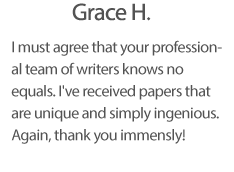 Individually tailored papers save free time after classes and help earn better marks for written assignments. In the end, all the papers pay off with a degree earned with flying colors or at least with major and minor courses finalized up to the mark at the end of the year. What about teachers and professors? All they see are smartly done papers from students who constantly submit papers on time. Given papers done at Essay-Writer-Online.org contain zero plagiarism and are generally drawn up from square one, no one spots a thing. Is English your first or second language, it doesn’t matter. Quality writing help is received by anyone who wants to study better and take more from what educational system has to offer. Have another assignment that gives you hard times? Think outside the box and err on the side of fine results. Order a paper at Essay-Writer-Online.org now.